By completing a simple survey, you can help PCC’s sustainability efforts – and possibly win big, too! The college’s Transportation and Parking Services department is conducting its 2018 PCC Student Commute Survey, and students who participate will be eligible for a random drawing of 20 gift cards worth $25 dollars each. To participate, go to the survey webpage. 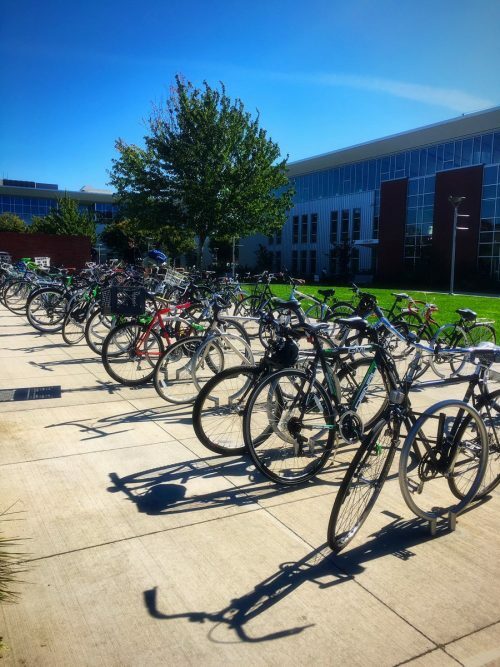 This annual survey provides valuable insight into the college’s commute patterns and sustainability efforts. The results help transportation leaders plan commuter benefits such as transit subsidies, bike parking infrastructure, pedestrian amenities, and more. All responses are anonymous. When recording your weekly commute patterns in question one, please think of your commuting behavior from Oct. 8-12 as an example. The deadline to participate is Sunday, Oct. 21. Winners of the Visa gift cards will be notified via email.